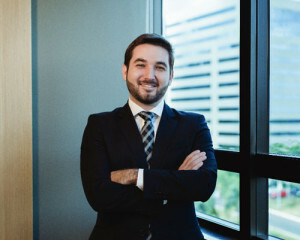 Luiz Filipe Couto Dutra holds a Bachelor of Laws from the UniCEUB — University Center of Brasília, a Master of Laws (LL.M.) from Fundação Getúlio Vargas—FGV. He also studied Business Law at University of California Los Angeles (UCLA) and Mergers & Acquisitions at Harvard University. Dutra has a broad business and corporate law practice with emphasis in negotiation and drafting of complex commercial contracts, counseling on development of commercial and corporate structures, as well as litigation and arbitral proceedings.